Investment Guide Receive a complimentary copy of First National Real Estate Property Investment Guide. Obligation Free How much is your property worth? Contact us today for an obligation-free property appraisal. 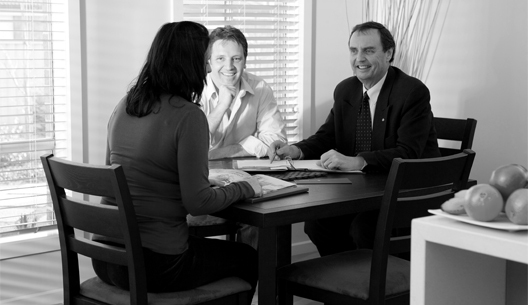 Speak to anyone who has experienced the PROCESS of buying or selling Real Estate and often their findings are a combination of stress, disappointment and ultimately compromise! One of our many goals here at Carolans First National Real Estate is to ensure your next move is a positive one. Our company was founded around one simple mission, “To deliver RESULTS that exceed our clients EXPECTATIONS”. We have created 'Best Practice Systems' that provide solutions and satisfaction to your most desired wants and needs. At the foundation of our 'success systems' is a philosophical shift from being a 'facilitator' presenting to a Real Estate Consumer to becoming a 'catalyst' for a Real Estate Client to find success in an Industry that for decades has been inefficient and often ineffective. “Disappointment is the difference between what a client EXPECTS and what the agent DELIVERS” Our company has thoroughly researched what a client requires from their Agent. What they have told us is that they are craving a 'professional' who can 'listen' to their individual wants and needs and provide solutions for them!